Have a great idea and want an App? Start Here! 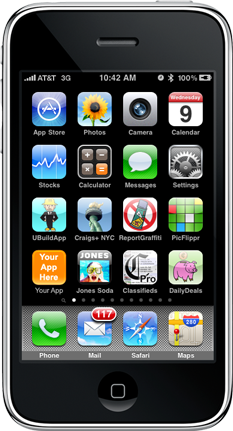 Create an iPhone app and view it on your phone for free. You only pay when you are ready to release your app. Our customers include business owners, personalities, politicians, cities, realtors, teachers, and more. Several apps are in the top25! * We offer a 100% money back guarantee if you are not completely satisfied.